There’s another way to go in the mobile technology race. In a market full of feature-rich smartphones, Light Phone offers something different — it lets you do nothing but make and answer calls. It has no browser, no NFC, offers no games or apps, and doesn’t even text. What it does promise is simple contact without the distractions and added hassles of “unwanted rings, dings, and pings,” as the company puts it. The phone’s minimalist design matches its functionality, for sure. 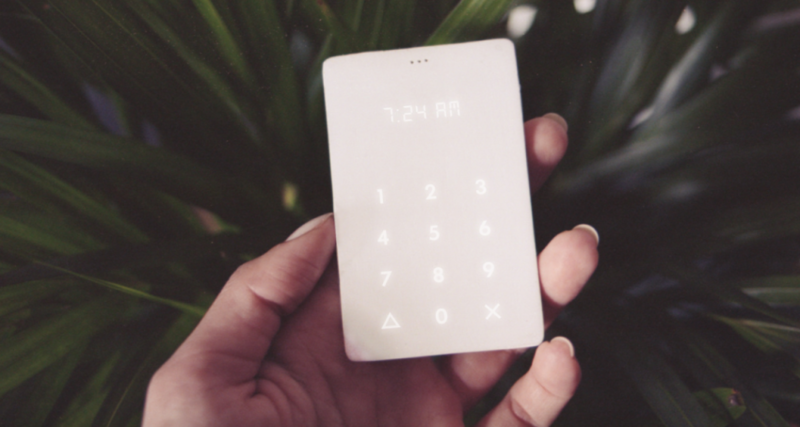 Light Phone is about the size of a credit card and is practically blank. The front display has no buttons or even what would look like a screen. Instead it lights up to reveal a touch module so you can dial a phone number, see the time, and view incoming calls. And man, can it hold a charge. The company claims Light Phone can go for 20 days straight before needing to be charged. It’s just one more thing that can cut down on the frustrations common with most mobile phones. On its own, Light Phone is a pre-paid GSM cell phone that can work independently of your carrier. Each phone comes with its own SIM card and phone number. And for an added perk, the phones come pre-loaded with 500 minutes. But Light Phone can also work like an extension to your existing smartphone. The phone’s one and only “app” is pre-installed. What the “app” does is allow you to have incoming calls made to your smartphone forwarded to Light Phone. This way, you can have the option of leaving your main phone at home without being completely cut off from the rest of the mobile-ready world. For more information on Light Phone check out the Kickstarter video below. The flexible options offered by Light Phone may be especially helpful for those small business owners who need a simple phone for calls. And with its $100 price tag, it can be a cheap, prepaid standalone phone or an extension line. The duo is currently crowdfunding to bring their product to market. Their Kickstarter campaign has thousands of backers and more than $269,000 in pledges. But backers will have to wait a while to get their phones. Light Phone won’t be shipping until June 2016.